Why relax on the beach and stare at the ocean when you could be exploring its depths? Have you ever wondered what it would be like to go scuba diving but you’re weary of all that gear? As a part of Stuart Cove's diving tour, you, your family and friends and other travelers will all get on a boat and before you know you it, you’re in the deep blue sea. Discover the beauty of the reef, witness numerous ocean species swimming around you and don’t be afraid to go deep into the 20 feet of water. Per the Bahamas Ministry of Tourism blogger, anywhere from 30-50 people will go on a SNUBA adventure every day. The tour started back in 2012 and if you know how to swim, you’re good to go. No prior scuba or experience is needed. 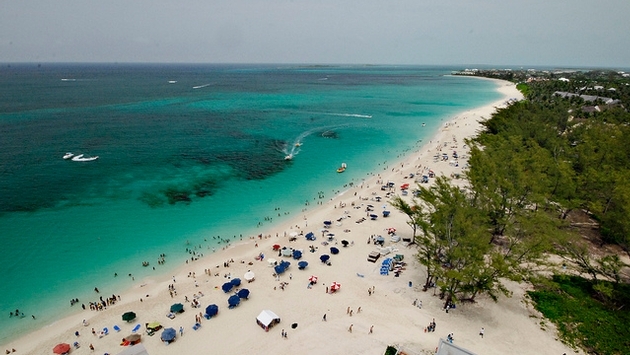 For more information on Bahamas Ministry of Tourism, check out their blog here.